Prague has been on my list of places to see for the longest time ever, which is how I came up with this awesome 3 day Prague itinerary! So when me and F. were looking for places where we could go for Eid break, we went on FlyDubai’s website and searched for flights. We were lucky to find really cheap round trip tickets 3 months in advance for just AED 1,400 (US$380) per person. Yep, you read that right! So, rule of thumb: if you’re taking a trip, take a 3 month gap between booking tickets. I quickly moved on to looking at options for stay. Booking.com has always remained my saviour when it comes to bookings, it’s just so easy and as a Genius member, I get really good deals. It must be noted that I LOVE budget trips. 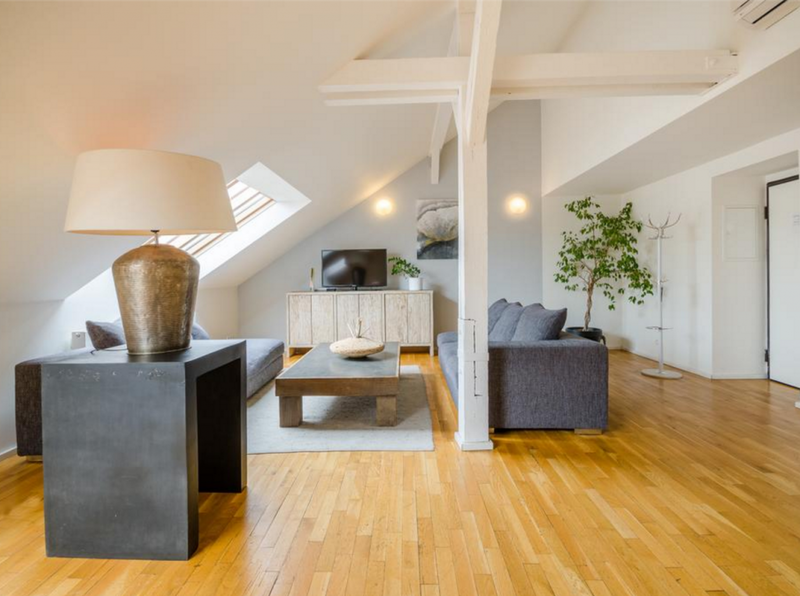 And so, we managed to find a beautiful 2 bed apartment for the four of us at Historic City Apartments I. The main reason why we picked Historic City was that it was close to the main quarter called the Old Town Square and had quick metro access. The accommodation cost us US$ (AED 561) per head for 3 nights. Our flight arrived at 12pm, which means we needed to figure out a way to get to our hotel. Besides a cab (which I assume will be freakin’ expensive), there is no direct mode of transportation to Old Town Square, which is the city centre. You will need to take a bus and then transfer on to the train. Take bus no. 119 and get off the metro station Veleslavin on the green line. It takes 10 minutes to get to Old Town by metro and the whole journey takes about an hour. Our plan was then to check into the hotel and then go for a free tour at 3pm. Yup, you read that right. FREE. Not bad for the first day on a 3 day Prague itinerary, eh? You can view the city afoot on a free tour (though I imagine tips are highly appreciated.) There is a Royal Walk tour that lasts 2.5 hours and will give you a good feel of the city. They run every hour on the hour from 10 am to 3pm. DAY 1 Costs: NOTHING, with the exception of a bit of spare change for transport,food and the foodie tour if you choose to do it. Even so, that’s an optional US$107 (AED 394). We were really bent on visiting the Prague Castle on this day. 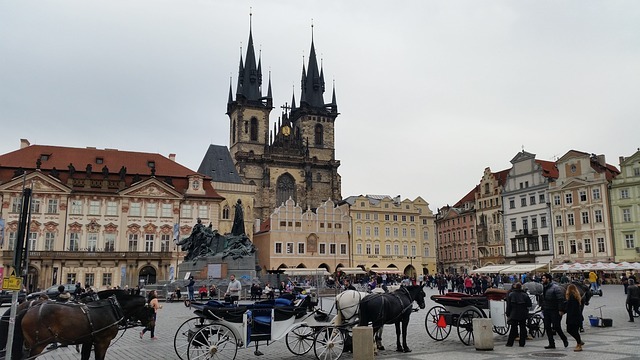 If we hadn’t managed to do the walking tour the previous day, it would give us enough time to do it on this day and then go to the Prague Castle. Built in 880, it’s just brimming with history and is so commanding in its appearance. 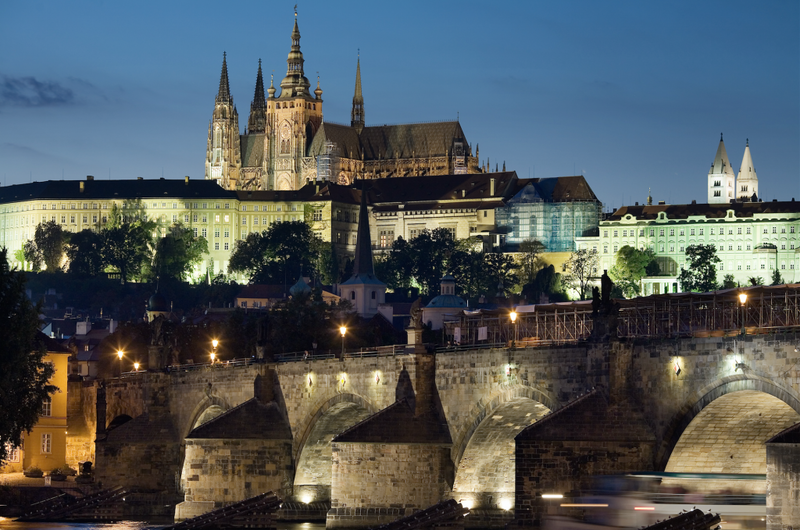 A ticket to Prague Castle costs you US$13 (AED 49) approximately. Besides this, I thought I must check out the nightlife Prague was so famous for. A quick search here and there and I found a bunker-turned-club called Bunkr Parukarka! How cool is that? A bit more reading and I found out that it’s now apparently closed. 🙁 Our other option was to go to a place called ‘Žižkov’ which is home to Kafka’s grave and a great number of charming pubs. My friend M. suggested going to eat fried cheese at this place called ‘Lokal’which I was very keen to check out. In terms of beer, Prague offers prices that are cheaper than water. I mean, it literally costs about US$1.5 (AED 5.) Beer lovers rejoice! For food, it could range anywhere between roughly US$5-15 (AED 20-50) for a meal, depending on how budget you want to go. I figured this day would be good to go and explore the Prague City Museum and then go skydiving. 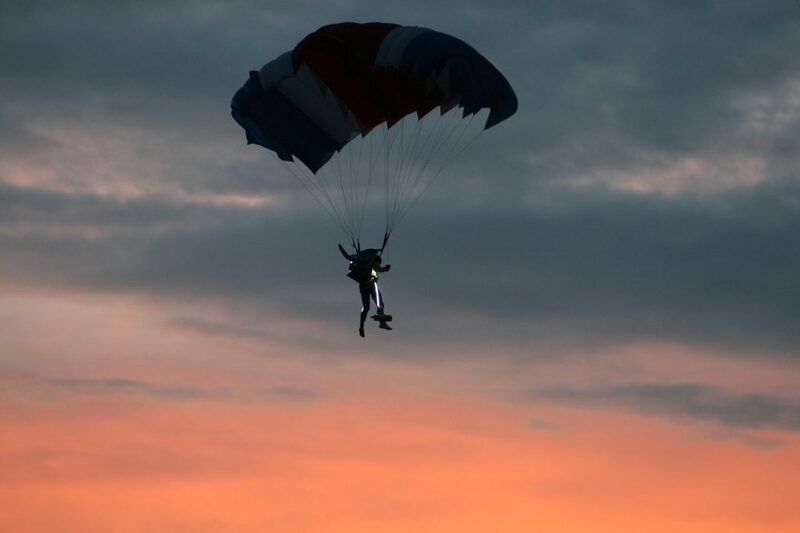 Offering much cheaper prices than Dubai, the skydive costs under US$272 (AED 1,000) for just the jump (no video/photos). A steal, if you ask me. It’s also apparently the cheapest price to skydive in Europe. Another option I was looking at, is the Terezin Concentration Camp day tour. At US$47 (AED 175) a head, I think I deserve a well-endowed history lesson in everything I need to know about World War II and the role Prague and the Czech Republic had to play in it. The tour lasts 5 hours. Say, I did everything on this itinerary. Guess how much money you can see Prague in? Total cost – US$ 1,075 (AED 3,950) per head. Voila, you guys! A budget trip like no other! I would budget maybe around half of that for miscellaneous expenses (shopping,emergencies etc.). But other than that? You’re done. As of this week, the Czech Republic VFS global office in Dubai takes walk-ins. HOLLA! Make sure that your UAE residence visa does not expire within the minimum 3 months from travel. Don’t wear glasses for your photo. Do you guys have any other tips for a Prague trip? I highly recommend visiting Budapest after! Looks gorgeous! Also love the fact that beer is so cheap. Adding to my list for that reason alone lol. Will do so! Thanks for the tips!